The restaurant is a casual dining, full-service and family-friendly experience with medium-priced comfort food and beverages of generous portions. Serving American fare in this high-energy atmosphere, patrons will get a glimpse of the love of golf life and the successful movie careers of the brothers. At Rivers Casino, step into the excitement of nearly 1,050 slots and nearly 50 table games. Find all of your favorites and so much more on our entirely non-smoking 43,000 square foot gaming floor. 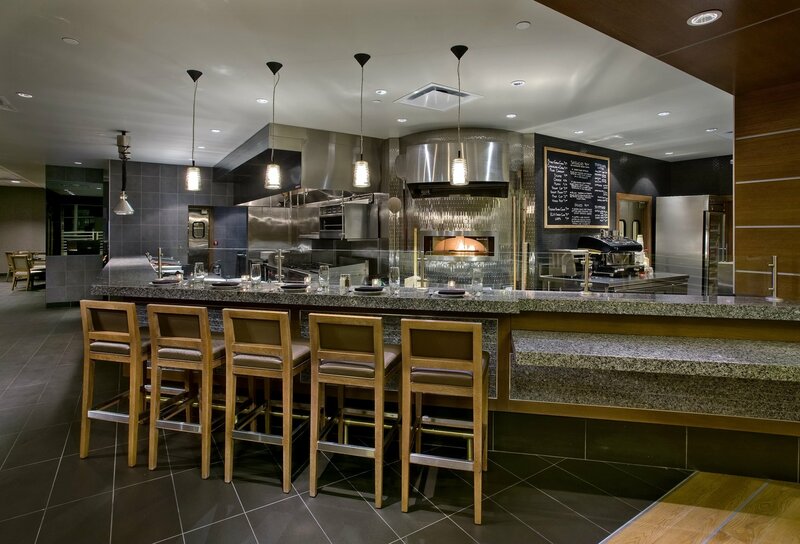 Rivers Casino offers a variety of options for groups including private space and customized menus. Our live entertainment venue, Cube, features a state-of-the-art A/V system with top-of-the-line technology and is the perfect setting to accommodate groups and parties of all sizes. Impact Field is a 6,300 seat baseball park, home of the Chicago Dogs which is part of the American Association of Independent Professional Baseball. Impact Field has a 360 degree open concourse and concert seating for up to 10,000 people. The Chicago Dog's Impact Field won Best Ballparks 2018, from the American Association of Independent Professional Baseball. Everything Chicago. What to do, where to go, and hot spots! Site to check flight arrivals, departures, etc. The Crowne Plaza Chicago O'Hare Hotel & Conference Center is across the street from the Convention Center. The Donald E. Stephens Convention Center offers a total 840,000 square feet of flexible exhibition space. Configure it any way you like. You may need a 500-booth to 800-booth area, or 100 to 200 booths. If you’re planning a larger show, you’ll appreciate our continuous 250,000 square-foot space for 1,225 booths. Or you can create a multiple hall layout for up to 3,566 booths. Customized floor plans are our specialty, so just ask. 150 upscale shopping venues walking distance. Location Conveniently located just east of I-294 at the O’Hare exit in Rosemont, Illinois. One block from the DES Convention center and 2 blocks south of I-90 just 20 minutes from downtown with attached covered parking for 8,500 vehicles. 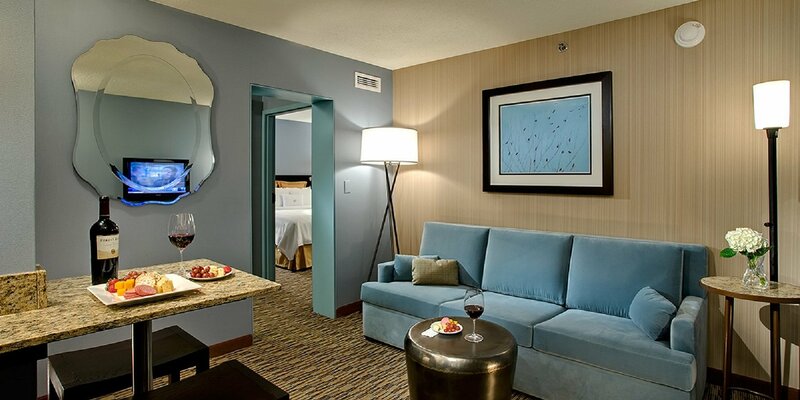 The Crowne Plaza O’Hare is the premier conference and meeting hotel located in the city center of Rosemont. 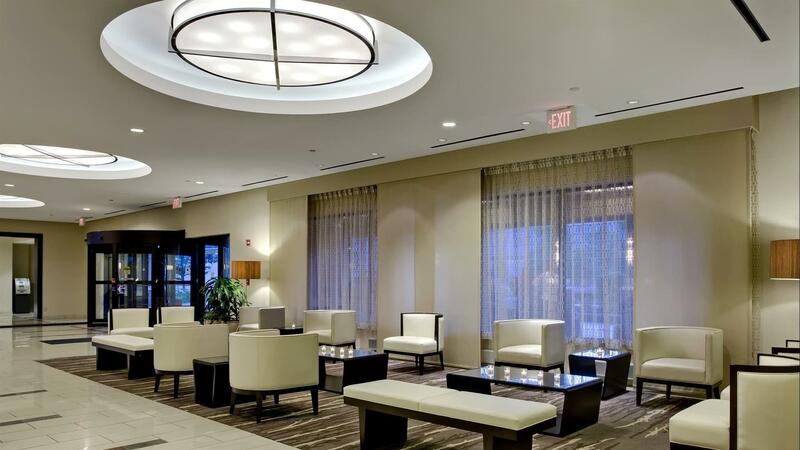 The Crowne Plaza Chicago O’ Hare provides flexible and unique meeting spaces to give you the optimal setting for your next event. Open, airy and clutter-free, the hotel's meeting spaces are designed to give you the tools and technology you need to connect and collaborate so you can achieve your best. 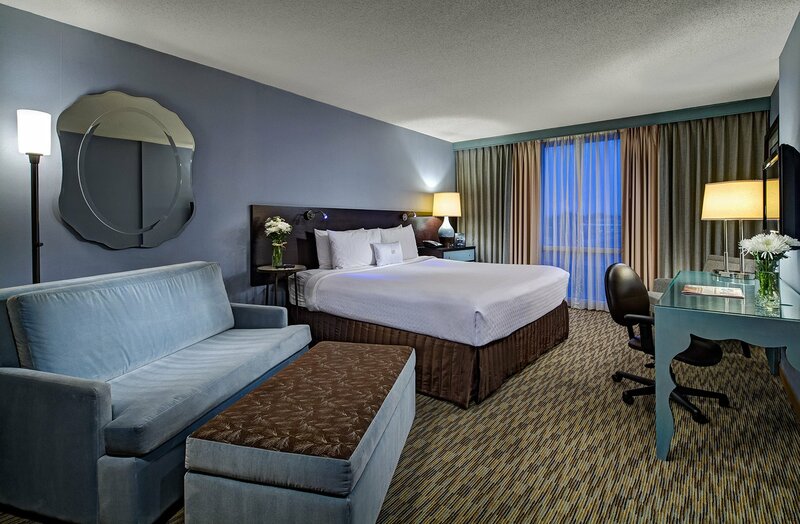 No matter your destination, your journey starts at the Crowne Plaza Chicago O ‘ Hare. 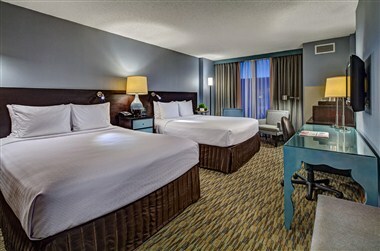 The hotel is located just seconds from the Parkway Bank Park/Rosemont Entertainment District, the Fashion Outlets of Chicago, Impact Field, The Pearl entertainment district and The Rosemont Theatre. The Crowne Plaza Chicago O’Hare is also directly across the street from the Donald E Stephens convention center. The Hotel is located minutes from Chicago’s O’Hare International airport, we are proud to offer a complimentary shuttle 24 hours a day. •	23,500 sq. ft. O’Hare International Ballroom •	28 meeting rooms, plus a tiered amphitheater with separate stage and production room •	Complimentary 24-hour shuttle service to/from O’Hare International Airport •	Located across the street from the Donald E. Stephens Convention Center •	Multiple dining options, from fresh pizzas at Chicago Fire Oven, specialty beers at Visibility Bar, to quick snacks and “to-go” sandwiches from “On The Fly.” •	Environmental Sustainability- low-E glass windows and 100% recycled construction/demolition metals are just some of the improvements we’ve made to reduce our collective carbon footprint. One night's room and tax within 72 hours of arrival date for groups and meetings. The hotel has made a commitment to environmental sustainability from the from the rooms have been designed and built such as; Insulated low-E glass windows, CFL light bulbs, 100% of construction/demolition metals recycled, energy reducing heat/air systems in each guest room, high efficiency plumbing fixtures, energy efficient non-absorption refrigerators in each guest room as well as all cleaning agents used have low environmental impact.